Back in the 1100’s, Arabian and Turkish horsemen played a game on horseback. They took it very seriously… so seriously that Italian and Spanish crusaders who watched described the contest as a “little war” or garosello and Carosella respectively. This 15th-century Turkish drawing shows part of the carousel’s use as a way to practice your cavalry riding skills. The riders must knock off the hat of the man standing holding the stick. This ride could probably be quite dangerous. It was probably considered a man’s combat trainer more than an amusement ride. The crusaders brought the game back to Europe where it became, in time, an extravagant display of horsemanship and finery that the French called carrousel. The royalty of the 18th century wanted to have the fanciest carousel ride possible in their private gardens. This one belonged to a royal French merry-maker, notice the ring catching sticks. I was propelled by a man pushing a rod connected to the center pole shaft while walking around in circles underground in a basement like a treadmill space. A major event of the carousel was the ring-spearing tournament in which a man would ride his horse or chariot full tilt, lance in hand, toward a small ring hanging from a tree limb or pole by brightly colored ribbons. The object, of course, was to spear the ring. About 300 years ago, an unknown Frenchman got the idea to build a device to train young noblemen in the art of ring-spearing. His device consisted of carved horses and chariots suspended by chains from arms radiating from a center pole. This was probably the beginning of the carousel as we have come to know it. By the late 1700’s, there were numerous carousels built solely for amusement scattered throughout Europe. They were small and light… their size and weight limited by what could readily be moved by man, mule, or horsepower. These limitations were removed with the invention of the steam engine. The “Chinese Ring Game” in the Tivoli Gardens of Paris, France, 1815. The sticks used earlier to knock off a man’s hat are replaced by the grabbing of rings, showing the evolution of the cavalry practice the carousels were originally designed to do. This was a person-powered ride, look into the pit below. The Americans of 1869 showed their ability to innovate by adapting the recently invented bicycle to power a carousel ride. The earliest European carousels were small, crude and often hand built as a family enterprise. It was the industrial revolution of the 1880’s that introduced steam power and marked the migration of people from rural areas to cities, making amusement parks and large elaborate carousels a profitable investment. When the power of steam was applied to carousels, the elaborate machines we think of became possible. This was an industry and carnival operators and amusement parks were the customers. Often called “trolly parks”, most early amusement parks were built by the local streetcar companies looking for evening and weekend traffic. An old carousel legend says that there is a lead horse on every carousel. The way to find the lead horse is to look for the biggest, most beautifully decorated horse. Usually, this horse is a war horse or a military horse. Another way to find the lead horse can only be used if there is a chariot on the carousel. The lead horse is the first horse right behind the chariot on the outside of the platform. Another great addition was the fact that the new carousels added sound to the carousel ride experience. Using a pipe organ, music was played with the help of steam from the engine blowing through the pipes. As carousels evolved, roofs were added, the horses moved up and down, and elaborately decorated seats were added for those people who didn’t want to ride the wooden horses. Many merry-go-rounds were also designed to travel. They were loaded on wagons or trains and journeyed from city to city. As with all popular things, however, there is competition. In the late 1800s, manufacturers of carousels tried to outdo one another as they competed to see who could create the biggest, fanciest merry-go-round. We tend to identify carousels and animals by the name of the principal carver or owner. Indeed for some of the companies, they did start with a staff of one. In most cases though, these companies grew to many carvers, painters, machinists, and even salesmen. Horses and chariots would be created by a staff of carvers with the master carvers doing the heads and detail on the outside animals and the apprentice carvers working on gluing up the wood, carving the legs and bodies and honing their skills on the simpler inside-row animals. From England, then Germany, Eastern Europe, and finally Southern Europe, these artisans initially may have only spoken in their native languages but they allowed their chisels and imaginations to speak for them through the universal language of their art. None of the old carousels of Europe could match the product of this group of American craftsmen. Ingenious men all, they set their own precedents. Their carousels were bigger and more elaborately housed. Their animals and chariots were more beautifully carved and in a richer variety of styles. There were war horses, parade horses, Indian ponies, and horses straight out of a child’s dream. There were animals of the jungle, the plains, the farm, and the forest. There were even dogs, cats, teddy bears, and mythical beasts. Any creature remotely rideable could be found on our carousels. GUSTAV DENTZEL, known as “Hobby Horse” Bill, was a cabinetmaker when he came to America from Germany at the age of 20. He was the man who pioneered the modern carousel in America in the 1860’s. He had, however, been bitten by the carousel bug as a boy while watching his father carve them in the old country. Dentzel’s animals are carved more anatomically correct than the work of most other carvers. They have been described as graceful, confident, dignified, even regal, but there is an underlying gentleness about them. 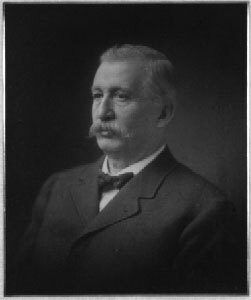 Dentzel’s trappings were simple in the beginning but grew more complex, especially after his son, William, took over production in 1909. There is a beauty and lifelike quality of the Dentzel figures, customers could choose from three or four poses of outside horses plus trappings and the color changes. Gustav Dentzel immigrated from Germany and was one of the earlier carousel builders. The company was carving and creating carousels from about1870 until 1928. Dentzel carousels tend to be large park machines with a mixture of horses and other animals (menagerie). The animals are realistic and well carved. Although the company carved over a long period of time, the style of horses remained remarkably consistent with very few style changes after 1900. Although Dentzel carved menagerie carousels virtually from the beginning, it is widely (and mistakenly) believed that the menagerie animals were created by Salvatore Cernigliaro, Dentzel’s head carver from approximately 1903. 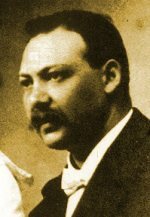 Gustav Dentzel died in 1909 and was succeeded by his son, William. The company closed upon the death of William in 1928. The Dentzel firm employed other carvers who became famous in their own right. There were many carousel carvers and builders. The following names are well know in carousel history. CHARLES I.D. LOOFF came to this country from what is now the north of West Germany. In the beginning, he built furniture by day and spent his nights carving carousels. His first was erected at Coney Island, New York, in 1875. If a man can be judged by his art, Looff was a gentle man. There is nothing threatening about his animals… even his lion seems to smile a welcome to its rider. Looff’s work greatly influenced other carvers in the industry and, though he changed his style to keep up with the times, his early works are acknowledged classics. Looff also designed many of the buildings which housed his carousels, creating a total environment which can only be called magical. Looff hand-carved horse sells for $10,000 to $50,000 today. “The Pike” amusement center in Long Beach, California, operated by Charles I.D. Looff. 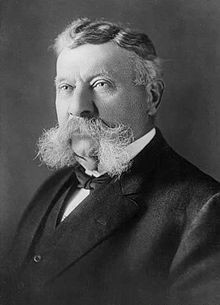 He is best known for building the first carousel at Coney Island in 1875. SOLOMOM STEIN and HARRY GOLDSTEIN began their carving careers making wooden combs… the kind used by fashionable ladies to hold up and decorate the fancy hairstyles popular at the turn of the century. Their carousels were among the biggest ever built and featured large, angry, snarling horses. These horses appear to object to your presence and strain to be free of the carousel…free perhaps to run off to the nearest castle. Despite the forcefulness of these steeds, they are often festooned with flowers and other delicate decoration…the kind a lady might give to her knight before he went off to slay a dragon or do battle in her honor. The New York City Parks Department set out to find a replacement carousel for Central Park to replace the one that had been destroyed by fire and to their astonishment, they discovered the present vintage Carousel, abandoned in the old trolley terminal on Coney Island. This Carousel is one of the largest in the United States, with 58 hand-carved, painted horses and is considered to be one of the finest examples of turn-of-the-century folk art. Created in 1908, Stein and Goldstein’s amazing craftsmanship is evidently displayed, as the nearly life-size horses in the outer ring appear to come alive as the Carousel quickly spins. A Ruth Sohn band organ playing a Wurlitzer 150 music roll provides the music and is original to the Carousel. The PHILADELPHIA TOBOGGAN COMPANY, a firm established in 1903 by Henry Auchy and Chester Albright, produced extravagant carousels full of magnificent animals and some of the most beautiful chariots ever carved. The company turned out carousels until 1934 and is noted for the quality of the carvers it employed. One of the most important of these carvers was John Zalar who is famous for his incredible work. Daniel Muller, another master carver, worked for them also after leaving the Dentzel firm. The Philadelphia Toboggan Company still exists today as the Philadelphia Toboggan Coasters, manufacturing roller coasters and related rides. CHARLES CARMEL carved animals in a shop located not far from Coney Island and sold them to manufacturers of carousels. His horses are noted for their strong bodies and legs. At first glance they suggest great power…an aggressive quality; but when you study their eyes, the power and aggression is mellowed by the gentleness found there. Carmel was generous with his trappings. An abundance of jewels, buckles, feathers, flowers, tassels, straps, and fringe offer a base for lavish use of the bright colors we all associate with carousels. 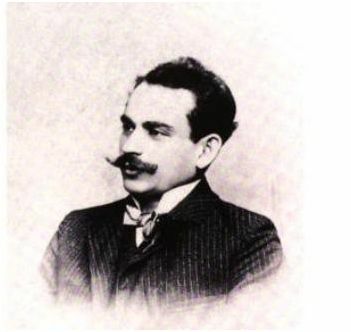 DANIEL C. MULLER and his family arrived in America from Germany in 1881. His father was an intimate friend of Gustav Dentzel, which perhaps is why Daniel and his brother were employed after school hours by Dentzel in the 1890’s. Although a sculptor in his own right, Daniel began the D. C. Muller and Bro. Company in 1903 and after creating many magnificent carousels, closed its doors fourteen years later when materials became scarce due to the war being declared on Germany. They then went back to work for William H. Dentzel, Gustav’s son. While most carvers adorned the animals with “fantasy” Muller insisted on some sort of realistic, functional tack and is best known for his military saddle and headstalls. He would often times throw in his share of fantasy too, however. An example is in Number 32 where he uses the military saddle and blanket with bedroll but allows fantasy to further enhance his steed with a garland of flowers and ribbons as a breast-piece. The Muller brothers seem to try to make each horse different, and changed head position and angle, and varied the leg positions and trappings so there was much more variety in their work. Even today, groups of Muller carvings are turning up in unusual places like Mexico and Alaska. The Mullers apparent desire to make each horse better than the last one is probably the reason that the factory failed, after producing only about a dozen and a half carousels. MARCUS CHARLES ILLIONS arrived in America in 1888 at the age of 17. Although born in Russia, his carving skills were polished in Germany and England. Illions worked with Looff in the beginning, but some time around the turn of the century he began a collaboration with a carousel builder named W. F. Mangels. Together, these two created marvelous carousels.. .full of fantasy and imagination. 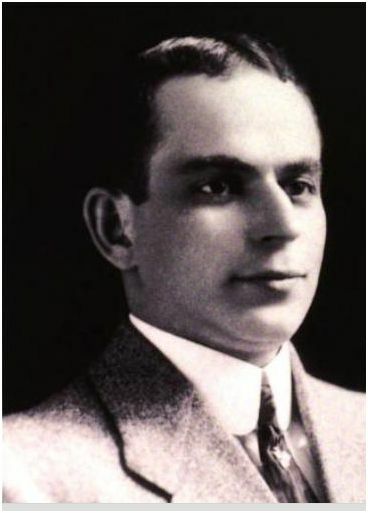 In about 1908, Illions established his own firm, calling it the “M. C. Illions and Sons Carousell Works.” The firm was successful until the depression. ALLAN HERSCHELL and his brother – in – law EDWARD SPILLMAN established their company in 1903 on a foundation of another firm Herschell had been involved in…the Armitage Herschell Company, which had produced carousels since 1883. Inexpensive steam powered carousels were the new company’s product. The style of their carving was simple, smooth and uncomplicated when compared to the work of most other carvers. In about 1914, however, their horses began to be less stylized and their trappings became more decorative. About this same time, Herschell-Spillman carousels began to feature a fabulous array of menagerie animals (animals other than horses). CHARLES WALLACE PARKER, the “Amusement King”, was born in Illinois in 1864. He established his amusement business in Kansas. The horses on his carousels are completely unique. You may not be able to tell the difference between a Looff and a Carmel, but you can hardly mistake a Parker. They are fantasy creatures which look as though they came right out of a child’s dream. One can feel free to color them any color. A pink, purple, blue or bright red Looff might look strange but any of these colors seem perfect for a Parker horse. It is fun to know that President Eisenhower worked as a horse sander in Parker’s company as a boy. Parker specialized in portable carousels that would be moved with a carnival show. The horses are long and slender, big enough for adult riders, but small enough to be easily carried from the carousel to the waiting wagon. The largest Parker horses are often smaller than the smallest horses on other carousels. The largest surviving Parker carousel operates at Jantzen Beach Center in Portland, Oregon. A very large machine with 72 fairly small horses. The golden age of the American carousel lasted until the great depression of the 1930’s. With the decline of amusement parks and the economy in general, used carousels satisfied the small market. The few remaining companies closed or moved on to other products. Many carousels were abandoned or destroyed. As the economy improved, so did the technology for producing carousels. No longer would the labor-intensive carving be done. Now, cast aluminum and later fiberglass would produce the animals. Technology also was creating larger and more exciting amusement rides. The carousel was no longer the centerpiece, but now a “children’s ride”. Below is an example of a modern-day carousel at the North Carolina Zoo featuring endangered species. In the 1970’s, interest was renewed in carousel animals as a beautiful collector items. Respected as fine woodcarving and the ultimate decorator item, the value of surviving animals went from a few hundred to several thousand dollars in a decade. Antique dealers purchased and dismantled many carousels for the profit that could be made. This trend continues to this day. Of the more than 4,000 carousels built in America during the “golden age”, fewer than 150 exist intact today. The IMCA (International Museum of Carousel Art) is working to make sure this number does not go down but actually increases as more carousels are taken out of storage, restored, and placed back in public operation. To view the originals people must travel to New York and California where the majority of the originals are located. The Grand Carousel formerly in Libertyland Park, Memphis, Tennessee, was built by William H. Dentzel. Libertyland closed in 2005. The Grand Carousel opened in a brand-new facility located at The Children’s Museum on December 2, 2017.